There have (luckily!) been many days around here recently during which it was just too hot to turn on the oven. 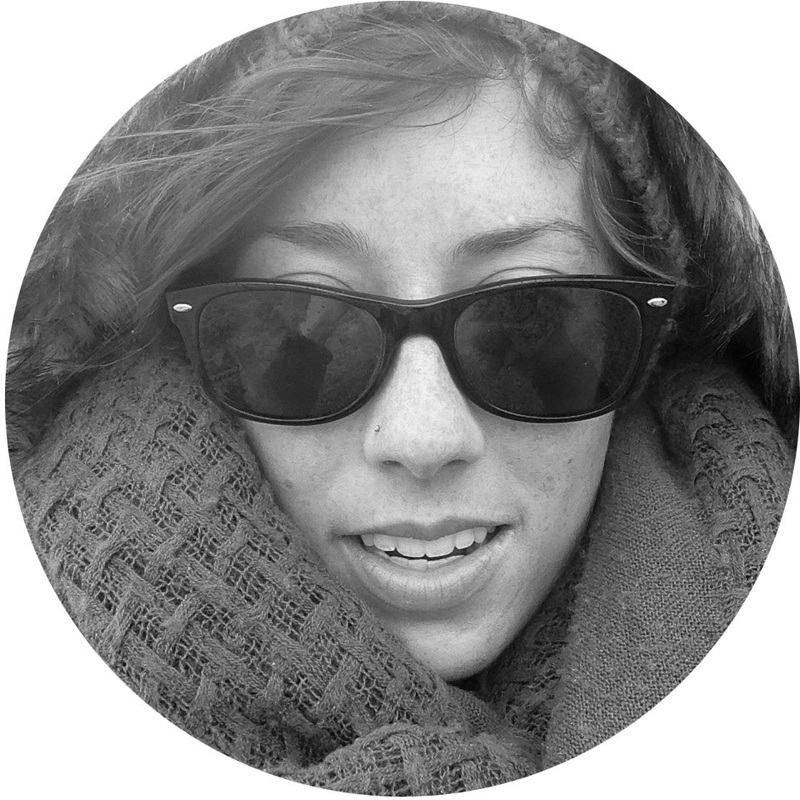 We're talking smoothie-pops-featuring-heavily-at-dinner-time too hot in the kitchen. 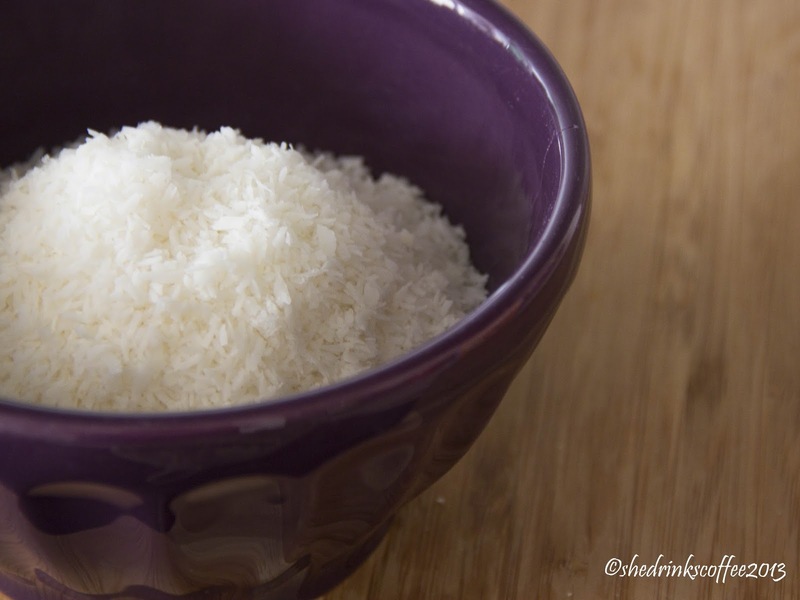 In a small mixing bowl, combine all coconut ingredients - desiccated, milk, and oil varieties. 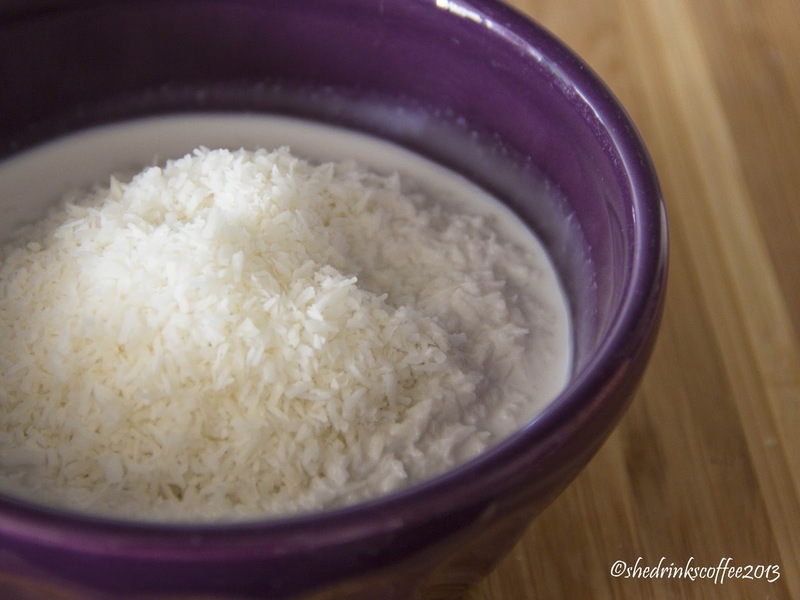 The coconut oil should be in liquid form, so you might need to melt it. Mine was helpfully already in liquid form when I took it out of the cupboard; I told you it's been warm here! 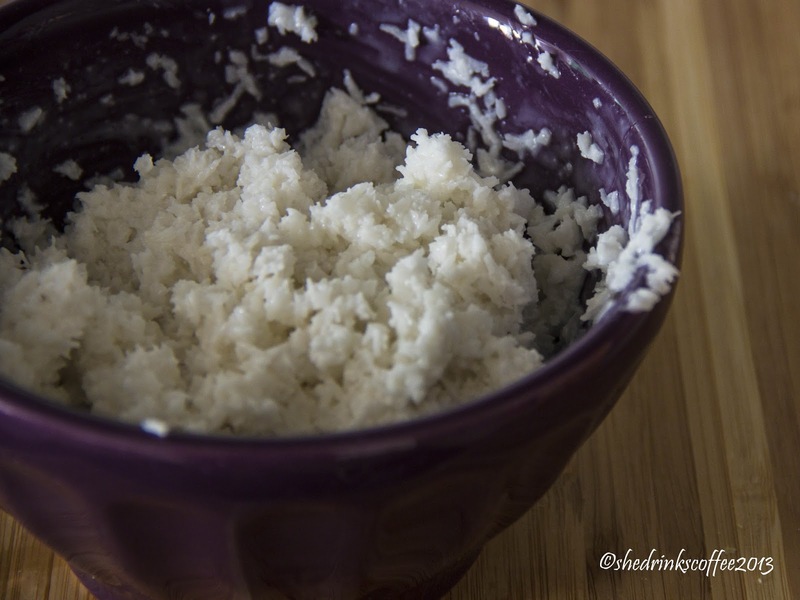 Use a fork to combine the ingredients until the coconut starts to clump together, as above. 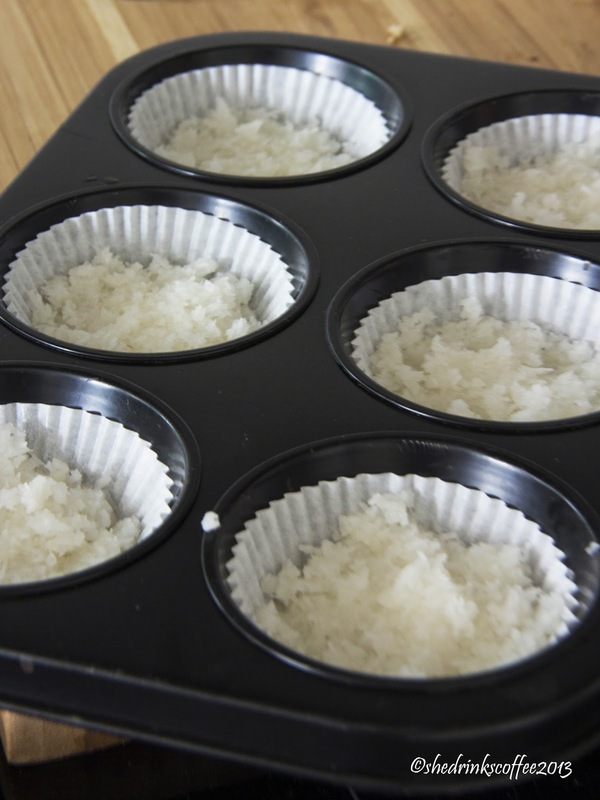 Once you've achieved the desired consistency, line a muffin tin with paper liners and evenly distribute the coconut mixture into the paper cups. I made 6 with this, but I like the coconut quite thick. I would say you could easily make 9 chocolate coconut cups with this, or possibly 12. (However, I can't confirm the structural integrity of any that are this thin. I'll try again soon and report back!) Make sure to firmly press the coconut mixture into the bottom of the paper liners. Next, cover the muffin tin and place in the refrigerator overnight, or for at least 12 hours. Twelve or so hours later, roughly chop your milk chocolate and melt using a double boiler. 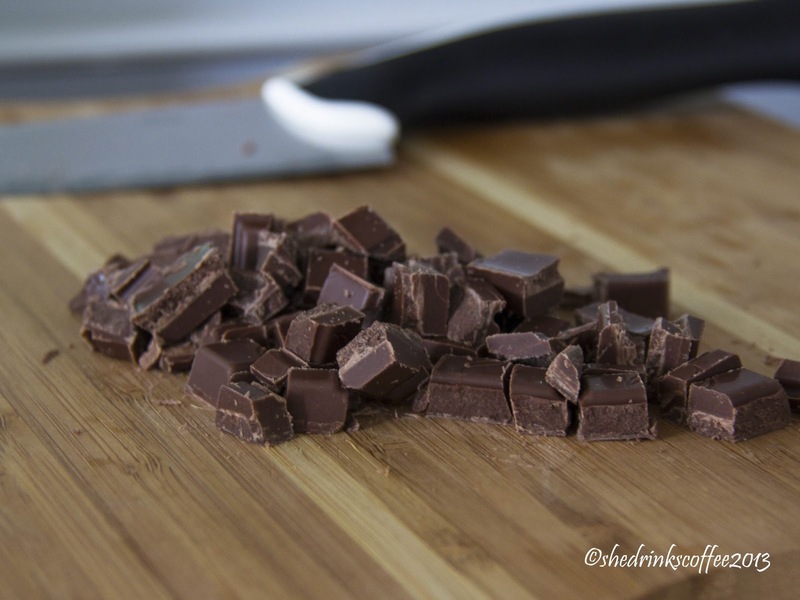 Stir constantly and remove from heat once a little over half of the chocolate appears to have melted. Continue stirring to allow the remaining chocolate to melt. Remove the coconut cups from the refrigerator, the muffin tin, and the paper liners. Honestly, you could probably dispense with the paper liners altogether if you lightly grease the muffin tin with coconut oil. I will verify this after my next batch too! 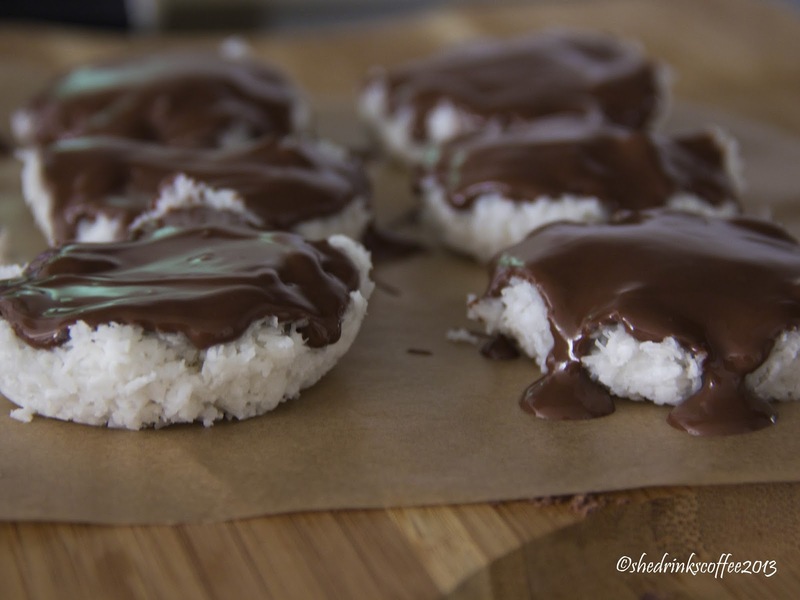 Space the coconut cups evenly apart on a piece of parchment paper and spoon the melted milk chocolate over each one. 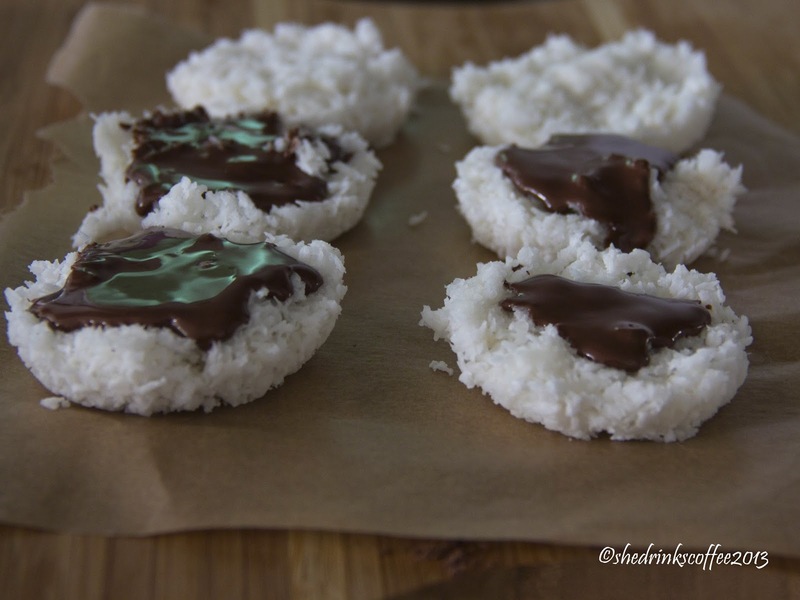 I had just enough chocolate to make a nice chocolate top for each coconut cup. 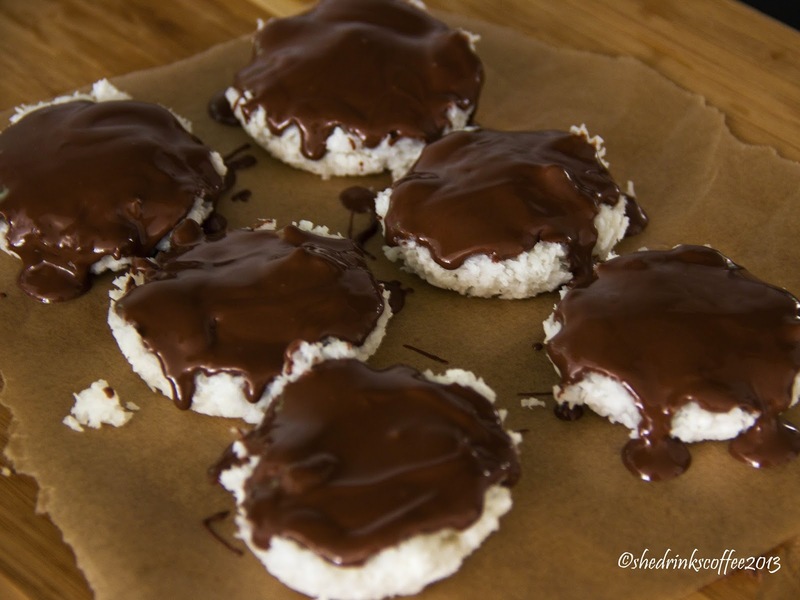 If you're aiming to make 9 or 12 coconut cups, I would recommend adding at least another 100g of chocolate to provide proper coverage. After you've exhausted your supply of melted chocolate, let the chocolate coconut cups cool for a bit before returning to the refrigerator in an airtight container. Once the chocolate is solid again (8 hours to be safe), they're finally ready to eat! Not that these will last very long, but I would recommend you enjoy your no-bake treat within the week.